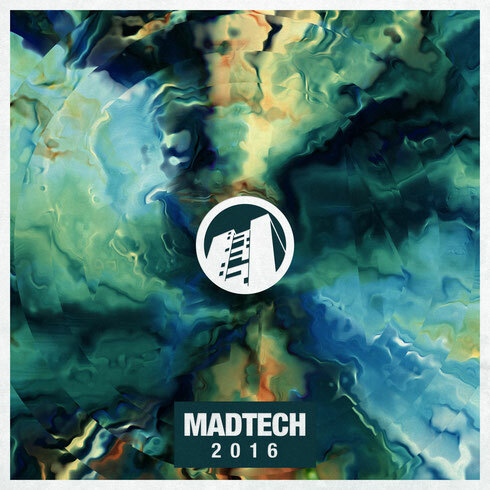 MadTech Records round out the year with a various artist compilation entitled ‘MadTech 2016’ the sampler of which, offered up here, features a cross-section of established and up and coming talent from across the globe. As the label closes out yet another year which has seen releases from Solardo, Cera Alba, Max Chapman and Bontan, it reflects on the past year with a retrospective compilation, whilst also taking a look forward to 2017 and introducing some of the new artists due to be releasing on the label in the future. Therein lies ‘MadTech 2016’, a 13-track compilation but offered up in a broken down exclusive material format here. Up first on the package is Made By Pete’s ‘Rhode Trip’ which lays focus on a steadily building groove fuelled by rumbling subs, hooky vocal hits, shuffled rhythms and whirring synthesizers before Chicago’s James Curd steps in with the playful ‘Pickle In A Bottle’, featuring Likasto, doing what he does best with frenzied drums, squelching acid blips and vocals in true bumpy Chicago fashion. KE’s ‘The Cure (Kid Enigma)’ follows with a classic stab-sequence led feel while Jack ‘N’ Jerk’s ‘Apple’ takes a contemporary approach via amalgamated vocal lines, bulbous throbbing bass and jangling percussion. ‘Motion’ by Alex Ranerro brings a deeper edge to things via floaty pads, swinging 909 snares and diva vocal lines before My Cat Snoop ft. Penny F closes with ‘So Sure’, a heady low-slung number featuring hypnotic vocal stylings, electro-tinged synth leads and clattering claps.